Urban Forestry Interns Try to Get Neighbors to Adopt a Tree! This week EarthTeam interns got a surprise visit from Dr. Joe McBride, former UC Berkeley Forest Ecology Professor and EarthTeam Board Member. Dr. Mcbride has been working behind the scenes with EarthTeam staff to bring the Urban Forestry program to life. This week though Joe took to the field, taking students on a walking tree tour of their campus and surrounding neighborhoods to learn how to identify local tree species. Below are students’ reflections on their time with Dr. McBride. When Projects Become a Reality! On November 2, 2015 Urban Forestry students gathered on a rainy day to reflect on all the benefits that trees provide our communities. These young leaders reflected on how it is our right as members of our community to have clean air, shade to sit under and aesthetic beauty where we live. 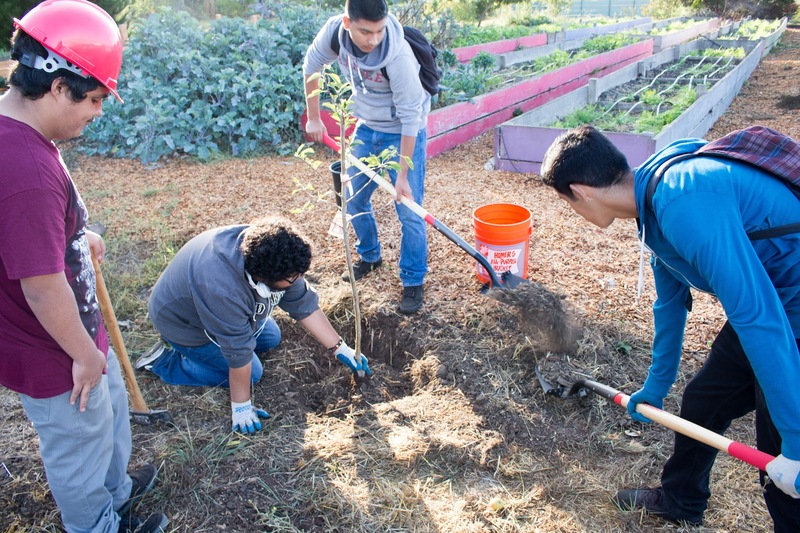 Students together created an “Urban Forestry Bill of Rights” for their campus, using their voice to represent the whole campus and advocate for their project. Here is our final list!